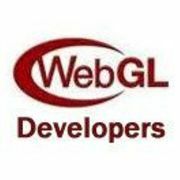 Please introduce yourself and your interest in WebGL. VERY excited about WebGL and I am starting to develop tools and tutorial content. VRML, X3D co-creator. Web3D developer since 1994. A group for San Francisco Bay Area people developing in WebGL (http://www.khronos.org/webgl/) for hardware-accelerated 3D graphics in web pages.